Category photos are essential in ecommerce. They provide visualization of the site section and improve site navigation. The better your categories, the quicker your customers get to products and place orders. 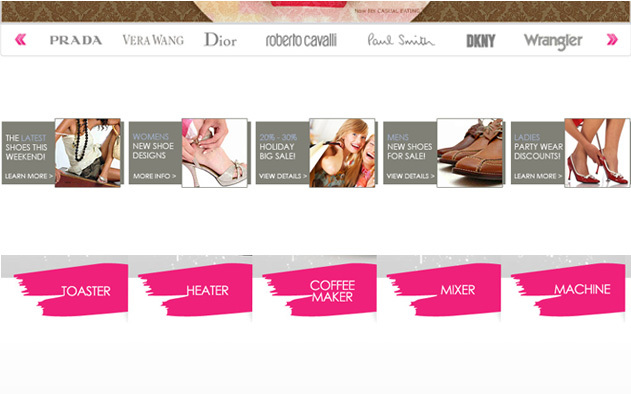 We can design category banners for your site and for the site sections. This service includes up 5 big banner designs and 5 smaller size banners done in Photoshop.